Good Georgia Trucking Lawyer has often heard clients ask: “A truck just hit me what do I do?” This is a terrible question that no family should have to face. Williams Oinonen LLC was recently privileged to represent a hard working Georgian family injured as a result of a negligent trucking collision. 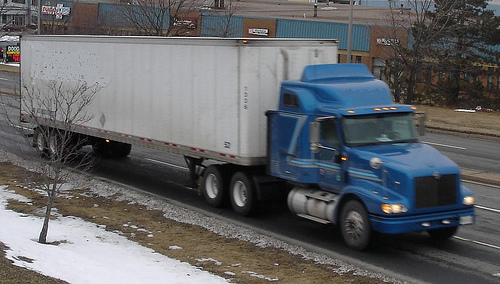 Many of us have experienced this type of terror as we drive on the highway: A huge eighteen wheeler comes up to close to us as it speeds down the freeway. 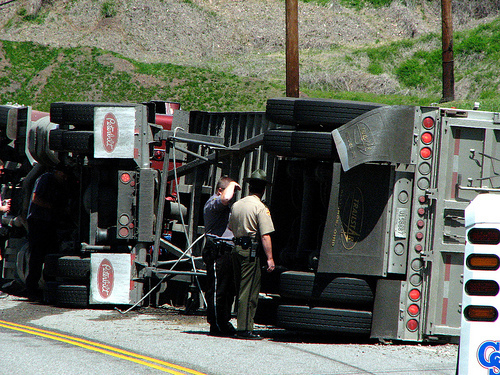 Unfortunately, about half of a million truck accidents happen every year in the United States. Unfortunately the result can be fatal and 98% of those fatalities occur to the people in the cars that were hit by the trucks. Good Georgia Truck Accident Lawyers praised the recent U.S. Transportation Secretary’s announcement that 109 commercial truck and bus drivers were removed from public roadways as a result of the Federal Motor Carrier Safety Administration’s annual alcohol and drug sweep this summer. The sweep was done by an investigation into the alcohol and drug safety records of all truck and other commercial drivers employed by bus and truck companies including hazardous material transporters, school bus drivers, interstate passenger carriers and general freight truck drivers. The goals was to identify those offenders in violation of drug and alcohol testing and remove them from the road. The terrifying fact is that there are truck drivers who move from company to company just to evade the federal drug and alcohol testing and reporting requirements. The Federal Motor Carrier Safety Administration warned that they are committed to ensuring that only safe truck drivers are allowed to operate. Unfortunately, there are truck drivers all over the country who have violated federal laws wreak havoc on public safety. Families all over Georgia have lost loved ones and been seriously injured due to the terrible negligence and criminal acts of truck drivers who recklessly take to the roads putting Georgians at risk. 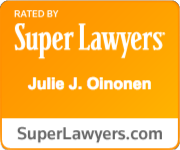 If you know of someone who has suffered due to a truck driver’s negligent acts, Williams Oinonen LLC is committed to bringing justice to Georgians who have been injured due to truck driver negligence. Please call us today to discuss how we aggressively fight the trucking companies who break laws and negligently allow dangerous truck drivers on the road risking the lives of our loved ones. 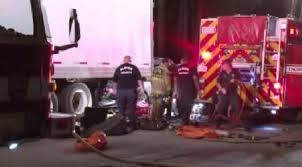 Georgia Truck Accident Lawyers help you when your loved one has been injured or killed due to a trucking accident. One of the biggest reasons people die from horrible truck accidents is due to “driver fatigue”—because the truck driver has been driving for hours on little sleep. Unfortunately, truck drivers by law are allowed to drive up to 11 hours per day which for those of us who have driven that long, know that it can be exhausting and very difficult to do it for long periods of time. Just last month, the Federal Motor Carrier Safety Administration submitted an important proposal for the new proposed truck driver hours of service rule. The details are unknown, but it is believed that the new laws will shorten the number of hours truckers are permitted to drive each day. The trucking industry of course is concerned about losing money and is urging that the current 11 hour rule per day is allowed but public safety groups and consumer advocates are pushing for an eight hour day requirement.